This is my New Year’s beauty purchase, a MAX FACTOR COLOUR ELIXIR Scarlet Ghost (720). This line comes with a variety of colors but I thought I’ll go bold with this one. I have been using this for a little more than a week now and I suppose the best time to share my verdict. First of all, I love how elegant the package look – a golden lipstick, lol. But seriously, gold trims blend in so well with anything a lady has – be it a purse, dress or shoe though it doesn’t really matter actually as this accessory is often carried discreetly. The color swatch at the bottom comes in very practical. If you have all colors in this line, you don’t need to go over at everything pulling the cover and see what’s inside, finding the shade you like with this indicator won’t be any hassle at all. I also like how this tube is formulated. Surprisingly, it blends in so well with my skin’s pH level. 10 ten days of everyday use didn’t give me chapped or dry lips at all. It’s creamy so it glides well and gives me a good control on how light and deep will I go with the shade. It’s highly pigmented so a little dab will let you get its true color. Though moisturizing, you might want a little twist - say with a plump or pronounced effect, you can always undercoat it with lipbalm or overcoat it with your favorite gloss, whichever suits you. This sells P595.00 at SM Department Stores. Verdict? 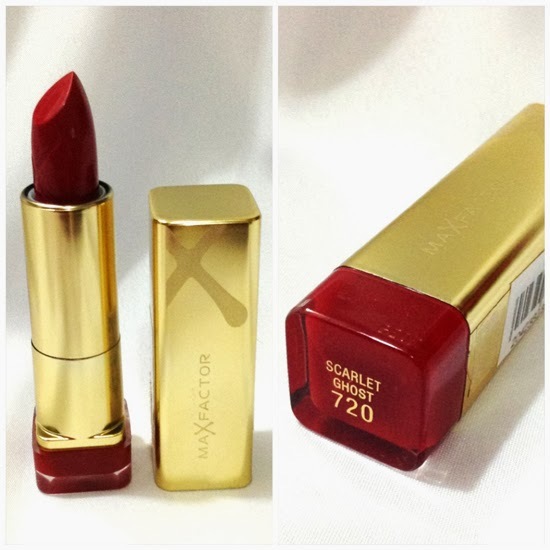 This will be your next beauty buy, highly recommended for those who want to wear bold colors, like striking scarlet lips. Good luck on your red, hot leps!